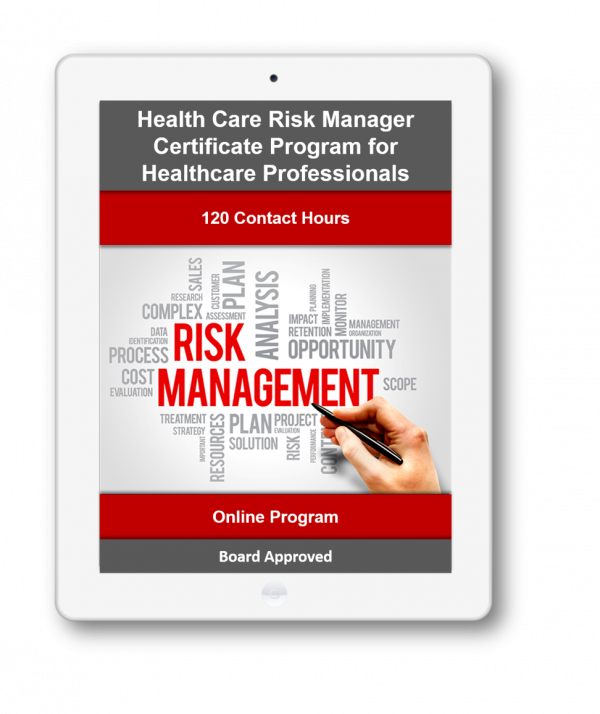 This certificate program provides a complete introduction to risk management in health care to professionals seeking to expand their knowledge base. The program covers general risk management techniques; standards of health care risk management administration; federal and state laws; and methods for integrating patient safety and enterprise risk management into a comprehensive risk management program. The program is designed to be applicable to all health care settings including acute care hospital to hospice, and long term care. Written specially for health care professionals new to the health care risk management area, each module highlights key points and learning objectives, lists key terms, and instructor-led discussion board questions. You'll become aware of U.S. and international regulatory requirements concerning effective risk management and master the skills needed to acquire data from disparate data sources, configure your risk environment, develop appropriate risk factor models, perform risk analysis, and create results-oriented reports. This program is approved for 120 nursing Continuing Education hours by the California Board of Registered Nursing, the Florida Board of Nursing and the District of Columbia Board of Nursing. Continuing education activities approved by any state board of nursing are usually recognized in reciprocity by other boards of nursing.